Everyone can now rejoice, the newly-celebrated national holiday known as NFL Schedule Release Day is finally here. This has become such a big deal that people were actually writing articles about how today would be Schedule Day. Its popularity is officially at out-of-control freight train status, right up against Madden Cover Boy Announcement Day as the lamest holiday on the sports calendar. Luckily, I'm as lame as they make 'em, so I predictably felt compelled to write about the occasion. This year, the Steelers have five nationally-televised primetime games lined up: the Thursday night opener against Tennessee, Sunday-nighters with San Diego and Baltimore, a Monday night game at Denver, and a Thursday night matchup at Cleveland on the NFL Network. The Steelers also have a whopping ten 1 PM starts, which I thought went the way of the dodo bird in 2008. The NFL opener, the home opener, and a very emotional night to be sure. 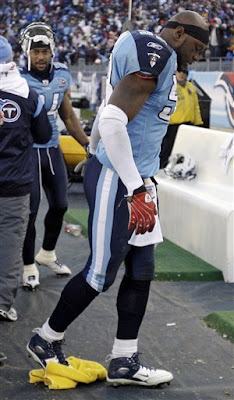 The media will be sure to play up the Titans' 2008 Terrible Towel-stomp and the homecomings of Nate Washington and Chris Hope, which I've already managed to mention two times too many this offseason. Hopefully, we'll be talking about nothing but a victory afterwards. 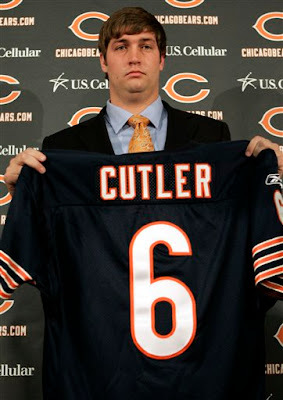 The first road game gives us an up-close look at sad Jay Cutler in what will be his second Bears start. He'll probably be equally as unhappy after being chased by the Steelers defense for three hours. The first division game and probably the first division win of 2009. The Bengals will be without TJ Houshmandzadeh and possibly Chad Ochocinco by then. But don't worry, they brought in Tank Johnson, who literally brings an arsenal of weapons to the table. All their holes are now filled. By the way, is Carson Palmer still better than Big Ben? The Steelers and Bolts have had some memorable contests in prime-time over the last decade, and this rematch of the 2008 divisional playoff will surely be another classic, as long as San Diego can improve on that 15 yards their vaunted rushing attack gained in the last meeting. The 8:20 start gives the Pittsburgh fans more time to "prepare for the game", as Coach Cowher used to say. The NFL's best and worst-run franchises meet up in this clash at the site of the Steelers' Super Bowl XL triumph. Maybe we'll get really lucky and have the opportunity to witness a Daunte Culpepper start. Luckily, it's not 1999, so that's no longer something to fear. The first meeting of old rivals Hammer and Nail in 2009. But who will Eric Mangini choose to quarterback the Browns? Will it be Derek Anderson? Will it be Brady Quinn? Or perhaps Brett Favre? Wait, that was last year. He'll probably choose the guy with his hand on another guy's groin. Adrian Peterson vs. the Steelers' rush defense. It will be a battle for the ages. 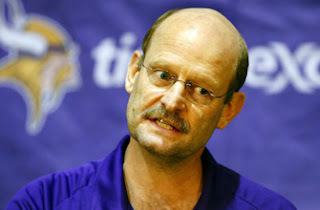 But the Steelers usually get the best of the league's top backs, so this will come down to the Steelers' D against whatever awful QB Brad Childress picks out of his hat that week. Which should equal a Steeler victory. "Bronko Nagurski didn't get no bye weeks, and now he's dead! Well, maybe they're a good thing." Another week, another team that currently has a question mark listed as their starting quarterback. But I'm sure Josh McDaniels will make the right call. He seems to have the magic touch since he's arrived in Denver. This is also the Steelers' only Monday night game of the year, and that means one thing: the airing of that Sally Wiggin Steeler pregame show that Yinzers seem to adore. By the way, did you know that Sally has a blog? How did was this under my radar so long? Any offensive weapons that the Bengals have are usually hurt by this time of year, so be prepared for an onslaught of J.T. O'Sullivan, DeDe Dorsey, and Mario Urrutia in this rematch at Heinz Field. The Steelers meet up with Matt Cassel, Mike Vrabel, Zach Thomas and the rest of the new-look Chiefs in this November meeting. Of course, odds are that Larry Johnson will do something dumb between now and then and miss this game for disciplinary reasons, so this should be an easy Steeler W.
The Ravens complained about having to play prime-time games in Pittsburgh, so I guess this is Roger Goodell's version of a pacifier. That being said, these two teams aren't meeting for the first time until the end of November? By Week 13, we should be a good 10 games into the Jeff Garcia Experience, so the Steelers should be prepared for that. We also get a glimpse of RB Michael Bush, who local fans salivated over while he played at Louisville. That whole "NFL" thing hasn't really worked out for the big back the way we thought, has it? The NFL continues their insistence to make this a prime-time event, despite the fact that the Steelers have won roughly 102 of these games in a row. That shouldn't change in 2009. Two passionate fan bases collide (and leave their calorie counters at home) in the Heinz Field parking lot on a crisp December afternoon. Will Santa bring us a victory, or merely a Big Ben Fathead for Christmas? Bill Parcells, Tony Sparano and their band of Joyless Men host the defending champs to close out their respective regular seasons. I'm looking forward to seeing Joey Porter and his abs in the pregame festivities. In closing, one thing jumps off the screen at me: the Steelers are not facing many top-flight QBs this year. There's Rivers and Cutler, a couple mid-level guys (Collins, Palmer, Cassel), a couple youngsters (Flacco, Rodgers), and beyond that, a bunch of unknowns. No Mannings, no Bradys, no Breeses. 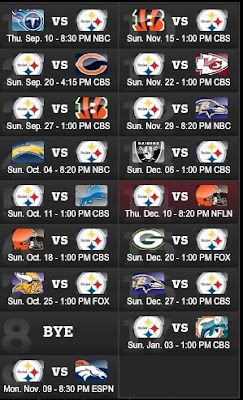 This schedule looks nowhere near as tough as what the Steelers faced in 2008, but make no bones about it: there are no easy weeks in the NFL. We'll save the predictions for August and September, but for now, it looks like 2009 is shaping up to be another intriguing season in the Steel City. Over/under on % of Steelers fans at the Detroit game: 80%. And I might be guessing low.